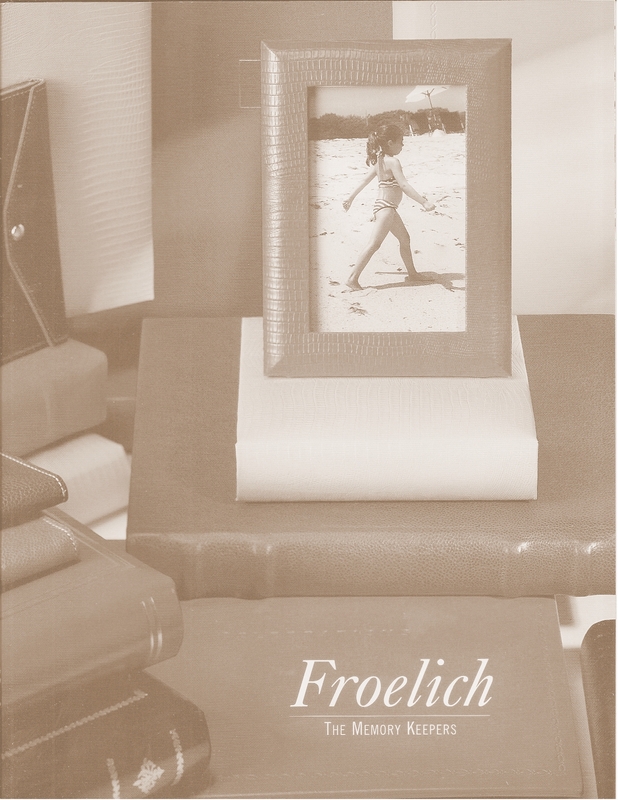 For over 75 years, the craftsmen of Froelich have been dedicated to creating the finest albums, and picture frames to help you preserve your memories. All Froelich products are made using only the finest leathers available, in order to protect your memories for generations to come. Choose from either 3-ring or 4-ring albums, and 6-Ring guest books in the leather options shown. Please feel free to browse our site to take a look at what's available. Many items and frames can be personalized using either our standard type styles or logos of your choosing. Please specify the desired font, punctuation, case (all capital letters or upper and lower case letters), and the position on either the cover or the spine. Should you wish to have a company logo imprinted, please provide a digital file in one of the following file formats: eps, tif or jpg. We invite you to explore our online catalog - please don't hesitate to contact us with any questions or specific needs.